Are Baccarat Games Online Any Fun? To put it simply: Yes and No. Yes, it can be fun and is a great way to learn how to play. But no, it is not nearly as fun as playing at a real casino. Baccarat is a simple game that has been around for a long time, but it wasn’t always a popular choice for average casino players. Even now, many of the high rollers play baccarat and a lot of people still associate the game with big bucks. However, the game is gaining popularity with your average players as they begin to see how exciting it is and understand they can fit it into their bankroll. If you aren’t yet familiar with the game of baccarat, you may find it becomes one of your new favorites if you decide to give it a try. Baccarat has become an extremely easy game to play online. Most of the casinos make sure they offer it to their players. Another thing worth noting about baccarat is many of the online casinos even offer live dealer baccarat for their players to enjoy. Choose a casino with a good reputation, excellent software, secure banking, good support, and generous bonuses and promotions in order to get the full enjoyment from the games. Baccarat is a card table game which is considered to be a card comparing game, similar to blackjack in this way. However, when you play baccarat you do want to understand that it doesn’t have an element of skill to it the way blackjack and many other games do. When you play baccarat, you will be competing against the dealer and trying to get a higher hand value. However, when you play baccarat you don’t necessarily need to wager on your own hand. You also have the option to wager on the dealers hand. The highest hand value you can get in this game is 9 and this is considered a natural hand if it is made with just 2 cards. In baccarat, the cards between 2 and 9 will retain their face value, the two being worth 2 points, the 3 being worth 3 points, and so on. The face cards are all worth 0 and the aces are worth a single point. It may seem difficult to understand that the highest value a hand can have is 9 if that is also the highest value of a single card. However, the value of a hand is calculated by taking the right number of the total sum. For example, if you have two 7’s, then your hand value is 4. 7+7=14 and taking the number on the right leaves you with 4. You won’t need to worry about calculating the hand values. In a land based casino the dealer does this and the software takes care of it in the online games. When it comes to learning the various rules of the game, you will see that the online casinos have made it quite simple. If you want to familiarize yourself with the game before risking your money, then consider playing in some of the free baccarat games for a while and transitioning to the real money games once you feel comfortable. The loyalty and rewards program are some online casino features that are most of the time disregarded by the players. This is happening since people think that they are too little to take into consideration too much. 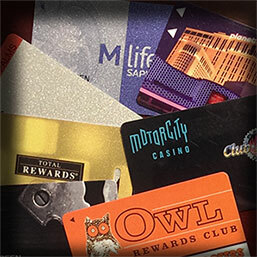 Some loyalty programs are a scam to just get you to play more, but more reputable player clubs programs (like Total Rewards for Harrah’s casinos) are a great way to score free rooms for playing the games you love. The promotions that you have available at the online casinos come in many ways. The most popular promotion is the welcome bonus, along with that there are reload bonuses available from time to time and that can offer you a pretty good bankroll boost. And in case the terms and conditions imposed to those bonuses are soft enough you can easily clear the bonus and cash it out if you want. The online casinos are always coming up with something new in order to be able to offer you the chance to win as you play the games. One of the latest trends is to get free spins for a certain online slot game the moment you sign up for the first time. Others might offer you tickets to daily tournaments where you get to compete against other players and the best one will win. These tournaments allow you to play many different games like blackjack, slots and others. By far one of the best opportunities to earn rewards while playing online casino games is represented by the loyalty program. With the help of a VIP program every time you will wager money at an online casino you will automatically earn some bonus points. These points are awarded based on how much you wager and the concept behind all this is very simple: the more you wager the more bonus points you manage to earn. Some online casinos will have different VIP levels and as you manage to earn more points you will be going up the ladder to higher levels where the rewards are higher. Most of the time at the online casino loyalty programs you will be given 1 Comp Point for every $10 that you wager and afterwards you can exchange 100 Comp points for $1 of cash. At first sight this might not seem like much, but the truth is that if you will stick to one online casino and gamble a lot, this free money will prove to be useful and it will add up to a nice sum. The online casinos will get you into their VIP rewards club automatically when you sign up and this means that you don’t have to do anything but to start playing your favorite online casino games. There are no limits imposed to how much you can earn with the help of a loyalty program and at the same time there are no special conditions that you have to meet in order to cash out the money after you’ve earned it. 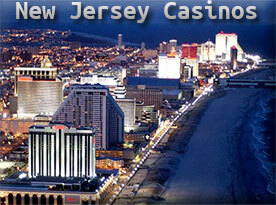 Recently, the state of New Jersey approved a law to legalize Internet gambling. The law will allow online betting in any game currently offered by the Atlantic City casinos. New Jersey Gov. Chris Christie signed the bill, in February, after the legislature enacted the amendments that he had requested. The bill was sponsored by Sen. Raymond Lesniak. Jon Campos ended up serving only 3 months for allowing his bank (SunTrust) to act as a gambling payment processor for well over $200 million for US poker players. The U.S. Department of Justice (DOJ) has commenced a prosecution against 3 of the world’s largest online poker sites. 11 people were indicted on April 15, 2011, for violations of the Unlawful Internet Gambling Enforcement Act of 2006 (UIGEA), money laundering and conspiracy to commit bank fraud. Among the indicted are John Campos, Chad Elie, Isai Scheinbert and Raymond Bitar. Chad Elie was released on $250,000 bond Tuesday, April 19, 2011. 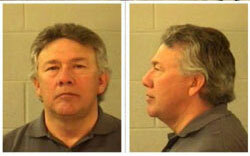 John Campos was released on $25,000 bail on Monday, April 18,2011. Campos has to keep in touch with the Utah Probation Department. He also had to surrender his passport. John Campos is a part-owner of SunFirst Bank. He is also vice chairman of SunFirst Bank’s board of directors. He is charged with setting up accounts with SunFirst Bank to receive payments from U.S. online gamblers in violation of the UIGEA. The payments were made to PokerStars and Full Tilt Poker, two of the three largest online gambling sites listed in the indictments. Mr. Campos is a resident of St. George, Utah. SunFirst Bank is also headquartered in St. George, Utah. No court date has been set for Mr. Campos. Neal Kaplan, Mr. Campos’ attorney, expects a date to be set in a few weeks. Mr. Campos will be tried in the Manhattan U.S. District Court. Mr. Campos is only being charged with 6 of the 9 counts listed in the indictment. Mr. Elie is being charged with all 9 counts of the indictment, which explains his bail being 10 times greater than Mr. Campos.